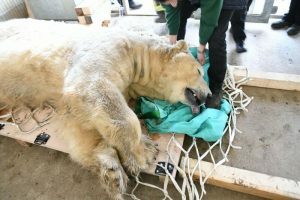 Firefighters from South Yorkshire Fire and Rescue have used specialist animal rescue equipment to assist with a health check-up for a polar bear at the award-winning Yorkshire Wildlife Park (YWP). The bear, Victor, was in the care of a 30-strong team for a procedure that took more than a month to plan. 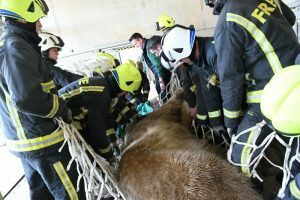 Firefighters helped lift the 18-year-old, who weighs in at 530kg (over 83-stone), into position for a team of specialist vets and dentists to conduct a battery of tests during the appointment. Victor was anaesthetised for two hours but was back on his feet within half an hour in a successful operation to ensure he was in tip-top condition. “At YWP we have very high animal welfare standards. 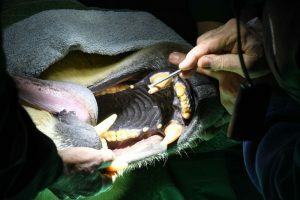 We could see that one of Victor’s canine teeth looked a slightly different colour to the rest of his teeth so we wanted to investigate and it was an opportunity to give him a full MOT. To bring all the specialists together took a month to plan. We are delighted that it all went very well, thanks to the efforts of a dedicated team,” said Simon Marsh, Animals Collections Manager at the park, at Branton, near Doncaster. The operation began a month ago with the YWP Animal Team, Portland House Veterinary Group (based in Retford), IZVG (International Zoo Veterinary Group, based in Keighley) and Zoodent, a specialist animal dentist (based in London), drawing up a strategy for the first time a polar bear had been anaesthetised at the 100-acre park. 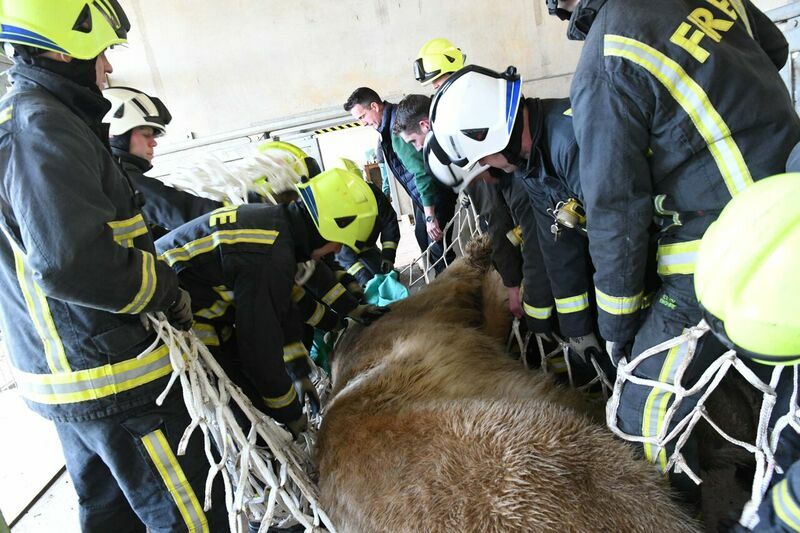 South Yorkshire Fire and Rescue was called in for extensive planning on how to move Victor for the vet team to carry out their checks then move him back again following the procedures. The team comprised: five vets, one vet nurse, one zoo dentist, one zoo dental nurse, 11 firefighters and 11 YWP rangers and staff. Victor is now happily back out in Project Polar at the Park with the other polar bears, Pixel, Nissan and Nobby.